COME ONE, COME ALL..............The Peace Valley Duathlon is a VERY beginner friendly event!! We encourage ALL new runners & bikers to come join us....NO hype, NO pressure....just have FUN! You can run in converse high tops and ride on a mt. bike if you'd like...everyone is welcome! Imagine this: You've had a long work week, you're ready to unwind a bit....You come to the beautiful & festive Market at DelVal on a spectacular Spring early evening with good friends & family. You first watch the kids run the 1/2 mile Grape juice Run with beautiful strawberry fields & apple orchards in the background. You then run a 5k through the magnificent country side of Buck's County. Then, after getting a well deserved "most awesome UnWINEd finisher's medal" (pictured to the left), you kick back & unwind with a glass of wine and listen to the sounds of live local musicians and the joyful giggling & laughter of children playing games in the background. 3rd Annual Dairy Air 10k, 5k, HAY YOU Kids' Run! Scoogie Events invites you to join us for a VERY SPECIAL 5th Annual Shake Your Shamrock 8k & 5k, Little Leprechaun Dash & Pot o' Gold Walk on St. Patrick's Day this year! Three festive runs & a walk followed by the “The Fifth Annual Shake Your Shamrock Festival" hosted by Scoogie Events, The Shoppes at English Village & Ironhill Brewery & Restaurant. And co-hosted by Harvest Seasonal Grill, Jules Thin Crust Pizza & Tony Roni's!! Scoogie Events, Peddler’s Village & Hewn Spirits Distillery invite you to join us for a VERY SPECIAL First Annual Peddler’s Village Fit Fest which includes an event for EVERYONE in your family: RUN THE VILLAGE 5k, Giggleberry Fair Kids’ 1/2 Mile Run & Walk the Village 1 Mile Fitness Walk! Three festive events followed by the “The Peddler’s Village Family Fit Fest" hosted by Scoogie Events and brought to you in part by the good folks at Peddler’s Village & Hewn Spirits Distillery. The 3rd Annual Scoogie's Firecracker 5k & Kid's Sparkler Run!!! Firecracker 5k & Kids’ Sparkler Run is one of our FAVORITE events of the whole year!!! You have to come experience it for yourself and then you’ll see what we’re talking about! There’s just something VERY SPECIAL about a Friday evening run on the weekend of July 4th!!! This VERY SPECIAL Friday early evening event consists of the Scoogie's Firecracker 5k & 1/2 Mi Kid's Sparkler Run! The Kid's Sparkler Run will begin at 6:45 PM and then run the Firecracker 5K at 7:00 PM!! The fun continues after the runs with LIVE music, a watermelon eating contest, bounce houses, face painting, yard games, potato sack races and so, so, so much more. This family friendly Friday evening running event at The Market at DelVal is truly not to be missed! This festive event starts at 6:45 pm at The beautiful Market at DelVal on Friday, July 5, 2019. After the races....everyone will be encouraged to stick around for fun & games, face painting, a bounce house and a The Market at DelVal's famous Friday evening Wine Concert and much more! And of course the AWESOME SWAG and amenities that you get when you register for a Scoogie Event is no different with this event! ~Scoogie designed top of the line tech shirt that will quickly become YOUR FAVORITE race tee! (Wait till you see the design!) Yes...offered in BOTH men's and women's fit and sizing! ~Free scoop of Uncle Dave's Ice Cream OR a free locally brewed micro beer (for those of age) for ALL registered runners! ~EVERY FINISHER of both the 5k & Kid's Sparkler run get AWESOME 3" finisher's medals! ~And of course the free outdoor wine concert, lawn games, bounces houses, fun awards ceremony and just an overall AWESOME POSITIVE VIBE! How it works: Once you have registered for the Firecracker 5k, you will automatically be emailed a unique link in your confirmation email that you can then share with friends ANY WAY YOU'D LIKE: Post your link on Facebook, Twitter or email it to your friends, family & co-workers! Awards & WHOLE LOT OF FUN after the races! AGAIN, THE AMAZING T SHIRTS that all 5k runners receive will be sold out by early to EARLY June! All located at the festive Market at DelVal in Beautiful Doylestown, PA! Be sure to register early to ensure your slot! Please sign up EARLY BEFORE THE EVENT SELLS OUT! AWARDS: Awards given for 5k only, Kids Run is for FUN! Overall winner (male and female), plus top three males and females in each age category: BRAND NEW AGE GROUP: 0-9! !, 10-14, 15-19, 20-24, 25-29, 30-34, 35-39, 40-44, 45-49, 50-54, 55-59, 60-64, 65-69, 70 & over. No mailing of awards or shirts. We will need to limit the runners to 600 so that everyone will be able to comfortably enjoy the festivities after the runs and we anticipate reaching this limit and there for selling out by mid to late May!. The Kid's 1/2 mile Sparkler Run will begin promptly at 6:45 pm on the beautiful Farm View Road along the strawberry fields of DelVal University. The FIRECRACKER 5K will begin at 7:00! If you've ever experienced a Scoogie Events race before, you know what you are going to be treated to....Scoogie Events holds nothing back to make sure that EVERY runner is happy. From the finisher's medals for all runners (including the kid's) to the TOP OF THE LINE gender specific Scoogie designed tech tee to the free Uncle Dave's ice cream or free locally brewed micro (those of age) to the inflatables & games and host of other amenities that are all aimed at making sure that YOU have a great time....you will be hooked. Scoogie Events & Montgomery Township cordially invite you to the Fifth Annual Spring Fling 8k & 5k run festival on April 13th ON the US 202 Parkway in North Wales! The start & finish will be ON the US 202 Parkway just up from the traffic light at Horsham Rd (Across from the historic Joseph Ambler Inn). ~Less than 10 slots left! ~VERY, VERY LOW quantities of the Special Edition TECH HOODY! Once these very special tech hoody’s SELL OUT, they will be gone! With the careful planning and cooperation from Montgomery Township, Warrington Township, Penndot and Scoogie Events, we will be CLOSING DOWN THE US 202 PARKWAY on Thanksgiving Day from 8-10am! Each of the 8k, 5k & Kids’ 1/2 mile runs will take place on the closed US 202 Parkway!! 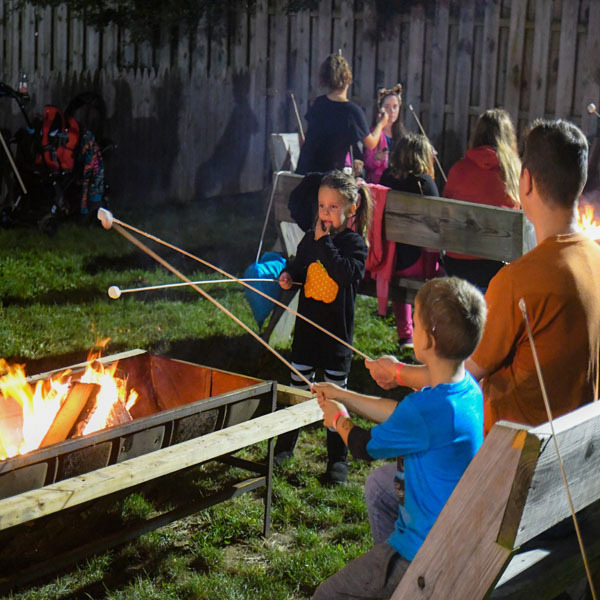 Scoogie Events, Montgomery Township, Warrington Township and The Joseph Ambler Inn are holding nothing back and pulling out all of the stops to make sure that this first ever event of it's kind will truly be one for the memory books. How it works: Once you have registered for the NWTT, you will automatically be emailed a unique link in your confirmation email that you can then share with friends ANY WAY YOU'D LIKE: Post your link on Facebook, Twitter or email it to your friends, family & co-workers! ~:-)~ SPECIAL EDITION NWTT TECH HOODY! EVERYONE who registers for either the 8k or the 5k early is GUARANTEED A SPECIAL EDITION NWTT TECH HOODY! ~IF THE SYSTEM ALLOWS YOU TO CHOOSE YOUR SIZE TECH HOODY! WHEN REGISTERING, YOU ARE GUARANTEED ONE!! You will get your results EMAILED &/OR TEXTED to you when yo cross the finish line!!!! 8:00 START TIME: The 8k run will begin PROMPTLY at 8:00 followed by the 5k run at 8:03 followed by the kid's run at 8:07 and then finally the walkers will start at 8:10. RUN ON THE US 202 PARKWAY!!! All three runs and the walk will be completely on the US 202 Parkway! (yes it's COMPLETELY CLOSED TO VEHICLE TRAFFIC!!) This is VERY RARE OPPORTUNITY to run actually ON the parkway with all of your closest friends and NO CARS! It's THE PERFECT route for an 8k & 5k...it's beautiful, rolling and there are NO CARS!!! And...we will have plenty of folks cheering you on the whole way as well as one water stop for the 5k runners and two for the 8k runners. WHY ARE WE ORGANIZING THIS EVENT: Why are we holding this event? Because we want to bring folks together in a meaningful way, get friends and families OUTSIDE to enjoy our beautiful area that we live in and most importantly, to raise funds for the Wissahickon Watershed Association & Ainsley's Angels!!! Again, Scoogie Events, Montgomery Township, Warrington Township and The Joseph Ambler Inn are holding nothing back and pulling out all of the stops to make sure that this first ever event of it's kind will truly be one for the memory books. Having the beautiful & famous Joseph Ambler Inn, Montgomery Township and the new US 202 Parkway play host to this event is a dream come true. This is a THE perfect location to host an event like this and the US 202 Parkway is THE perfect run course. 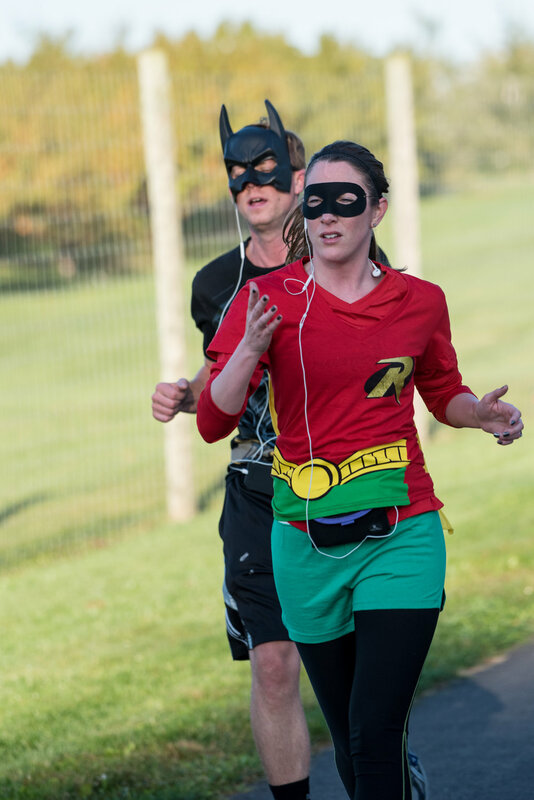 The combination of these factors and the fact that Scoogie Events is bringing this race to you and will see to it that all runners needs and desires are met, means that this race is surly not to be missed. The famous Joseph Ambler Inn will serve ALL runners a FREE CONTINENTAL BREAKFAST!!!! AND....(drum roll.......) Mimosas for ALL the runners (of age)...mock mimosas for underage. The Joseph Ambler Inn will also provide $20 gift cards for each 8k & 5k runner!!! That's just a start....Just wait till you see what else we have in store for everyone! AWARDS: "You ask for it.....we deliver": From now on, ALL Scoogie events age group awards will be in FIVE YEAR age increments!! Awesome awards for age groups in both the 8k & 5k runs! Awards given for 8K & 5k only, Kids Run is for FUN! Overall winner (male and female), plus top three males and females in each age category: 14 & under, 15-19, 20-24, 25-29, 30-34, 35-39, 40-44, 45-49, 50-54, 55-59 60-64, 65-69, 70 & over. No mailing of awards or shirts. Note: If you are registered for this race and you registered in time to choose a tech hoody size BUT you are unable to run for whatever reason, you will NEED TO CONTACT us BEFORE RACE DAY and let us know if you'd like us to hold on to your reserved giveaway (tech hoody) for you to pick up at a future Scoogie Event. If you do not do this, we cannot hold you shirt and it will be given to someone that registered after the deadline. We cannot mail hoody’s. Packet Pick up will be at The Joseph Ambler Inn the on Wednesday, November 21st. The time for PPU will most likely be from 4-7 but this will be confirmed closer to the event. Runners may pick up their packets on race morning starting at 6:30, but it is advised that they pick them up at packet pick up the day before to avoid lines on race day. 9 REGISTRATION SLOTS LEFT! After that we will NOT accept any more registrations! ~A packet pick up & race day email will be sent out Friday: 10/12 & Tuesday: 10/16! ~We also posted the graphics that have all of the important information in then below! BELOW ARE THE PACKET PICK UP & RACE DAY INFORMATIONAL GRAPHICS THAT ARE SENT TO EACH REGISTERED RUNNER. ~Head Ironhill brewer Pete Corbett “I brew, therefor I am” is brewing a special batch of Ironhill PUMPKIN ale for Tapping of the Great Pumpkin 2018! "Scoogie Events, The Shoppes at English Village, & Ironhill Brewery & Restaurant & would like to cordially invite you and to join us for a delightful afternoon and evening of three festive runs and a walk followed by "The 7th Annual The Tapping of the Great Pumpkin" presented by Scoogie Events." This is one of our MOST POPULAR events of the year and WILL SELL OUT by EARLY OCTOBER so please register early! Everyone registered for the events will get yummy appetizers straight from the fantastic Harvest Seasonal Grill & Wine Bar!! And also some great pizza from Jules Thin Crust Pizza and pizza & tomato pies from Tony Roni's in Spring House! EARLY REGISTRATION IS LIVE NOW!!! RACE DAY: Check in for 8k, 5K & Lil' Pumpkin Run participants from 1:30-2:30 pm. No new registrations taken after 2:30 pm. ~Special Scoogie Designed 6th Anniversary Edition "Tapping of the Great Pumpkin" giveaway for everyone registered WHILE SUPPLIES LAST! Registration (if not sold out)/Race Day Packet Pick Up opens at 1:30 pm and closes at 2:30 pm. ~Bounce houses for the kids! ~And of course...the Tapping of the Great Pumpkin Festival!!! The Tapping of the Great Pumpkin Event is located in the parking lot next to Ironhill Brewery which will play host to a variety of family fun activities and offer free delicious seasonal foods from Harvest Seasonal Grill, Jules Thin Crust Pizza, Tony Roni's, Trader Joes and other local restaurants. 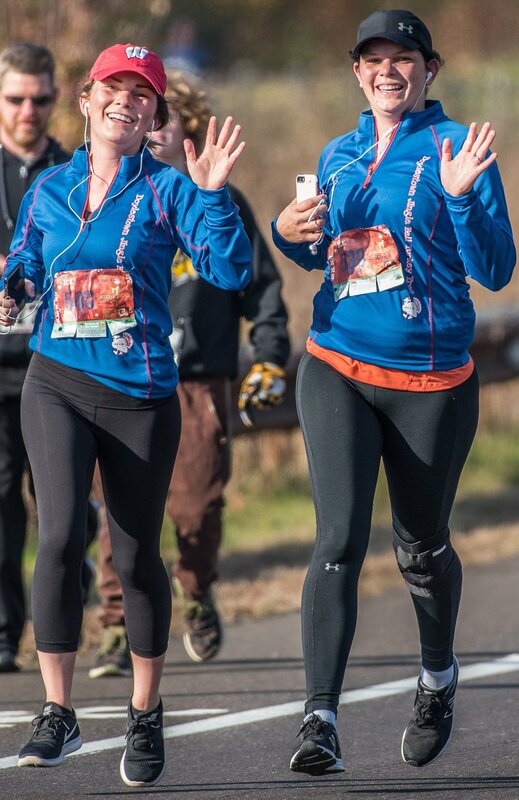 How it works: Once you have registered for the Tapping of the Great Pumpkin 8k or 5k, you will automatically be emailed a unique link in your confirmation email that you can then share with friends ANY WAY YOU'D LIKE: Post your link on Facebook, Twitter or email it to your friends, family & co-workers! Again, This event WILL sell out at 700 runners. Once 700 runners is reached, we CANNOT accept any more runners.....no exceptions. The 2nd Annual "Pick Your 10" (10-MILER!, 10K!, 5K! & APPLE FRITTER KIDS' RUN! ALERT: T SHIRT INVETORY IS VERY LOW! REGISTER ASAP TO GUARENTEE ONE OF THESE VERY SPECIAL T'S!! PICK YOUR FAVORITE DISTANCE TO RUN! A 10-MILER!, 10K!, 5K! or The Apple Fritter 1/2 Mile Kid's Fun Run!!! " This festive event all starts at 9:00 am at The beautiful Market at DelVal on Saturday, September 8, 2018. All of this fun will lead up to awards ceremony and the start of Apple Fun Days in which every registered runner gets a FREE pass into!! Take a tractor ride right into the apple orchards and pick your own apples! This day is NOT to be missed! All the fun starts on Saturday, September 8th at 9:00 am with the 10 MILE RUN START! Then, at 9:10 the KIDS' APPLE FRITTER 1/2 Mile Kids' Fun Run STARTS! Each of the three runs will be run on the road next the The Market at DelVal (Farm View Rd) in the beginning and then will continue on the beautiful US 202 Parkway trail (which is paved the whole way) and then runners will be treated to the brand new VERY special Apple Orchard Loop. This run course is literally one of THE most spectator friendly & beautiful runs in all of Buck's County! ~Scoogie designed top of the line LONG SLEEVE tech shirt that will quickly become YOUR FAVORITE race tee! (Wait till you see the design!) Yes...offered in BOTH men's and women's fit and sizing! If you've ever been to a past Scoogie Event, you will know that the shirts given to runners that register while there's still inventory ARE THE BEST SHIRTS AROUND! A LOT of thought and care goes into the design of a Scoogie Events tee! You will not be disappointed! ~EVERY FINISHER of ALL OF THE RUNS (Including the Apple Fritter Kids' Run) get AWESOME 3" finisher's medals! ~A very festive & fun awards ceremony with SPECIAL PY10 Awards in 5 year increments! ~THEN.....this all flows right into the start of Apple Fun Days in which every registered runner gets a FREE pass into!! First class the whole way! From the plentiful water stations with plenty of water & Clif Shot Gels (yes, including Apple flavored gels:-) manned by enthusiastic & happy Scoogie Events staff all the way to the after party at The Market at DelVal...this will be a special event that you will not soon forget. This truly is an event for the memory books...we are holding nothing back to make sure that there's something for everyone! And get THIS.....Each runner of the 10m, 10k & 5k that REGISTERS IN TIME/BEFORE INVENTORY RUNS OUT, gets a Scoogie Events/Pick You 10 special edition LONG SLEEVE TECH TEE that will be THE nicest L/S tech you've ever received!!!! AWARDS: "You ask for it.....we deliver": From now on, ALL Scoogie events age group awards will be in FIVE YEAR age increments!! Awards given for 10 -Miler, 10K & 5k only, Kids Run is for FUN! Overall winner (male and female), plus top three males and females in each age category: 14 & under, 15-19, 20-24, 25-29, 30-34, 35-39, 40-44, 45-49, 50-54, 55-59 60-64, 65-69, 70 & over. No mailing of awards or shirts. Vanity bibs!!! Yes...Personalize your own bib with your name, nick name or saying!! Deadline for Vanity bibs is Aug 14. The t shirts that you will be receiving for registering for this event are specialty t shirts (you will FALL IN LOVE WITH THEM)...BUT, YOU WILL NEED TO REGISTER EARLY AS WE ARE ANTICIPATING THE INVENTORY TO POSSIBLY RUN OUT WAY BEFORE RACE DAY! A race day & packet pick up email will be emailed out to all registered runners on Tuesday, September 4th detailing exactly what you need to know about packet pick and race day for this amazing event!!! Packet pick up will be at the North Wales Running Company on Friday, September 7th from 5-7 PM. Packet pick up is NOT mandatory although we do suggest trying to get there to pick up your packets & t shirts (if you made the t shirt inventory cut off). You CAN pick up the packets of friends or family members...(just know their full name & birth date). If you cannot make packet pick up on Friday, September 7th from 5-7 PM.....please plan on arriving early at the race site. Suggested arrival time is between 7:30-8:15 am. No new registrations or packet pick ups will be accepted after 8:30 am on race day. Please register EARLY to get one of these amazing t shirts! Choose from FOUR RUNS: A 10-MILER, 10k Run, 5k RUN or The KIDS' APPLE FRITTER RUN (1/2 Mile!!!) All through the beautiful countryside in Buck's County! And afterwards, enjoy Apple Fun Days at The beautiful Market at DelVal. Please register EARLY to get AN AMAZING PY10 t shirt! Scoogie Events Kid's Triathlon Festival will take place on Saturday, August 25, 2018. THE RACE WILL SELL OUT VERY SOON AT WHICH POINT WE CANNOT ACCEPT ANY NEW REGISTRATIONS!!! WHY WAS THE SCOOGIE EVENTS KID'S TRIATHLON VOTED "THE BEST KID'S TRIATHLON" IN 2017? ~The awesome finisher's medal every finisher gets! ~The DRI-FIT TECH TEE that every athlete that registered before the deadline gets! ~The non-competitive, fun & positive atmosphere created by the Scoogie Events Crew! ~The FUN awards ceremony that makes not only the award winners feel good about their accomplishment, but ALL the other triathletes as well! ~The free snow cones, pizza, bounce houses, face painting, balloons, temporary tattoo's! ~~We think that it's all the above plus the fact that the Scoogie Events Crew works VERY HARD fostering a SAFE ATMOSPHERE that allows your child to feel SAFE & COMFORTABLE enough to be able to HAVE FUN and show their smile THROUGHOUT the entire event....(before, during & of course after). It is important to bring your bike up to Keswick Cycles in Glenside, PA and get an APPROVED SMILEY FACE STICKER ON BOTH YOUR HELMET AND BIKE!!!! You can go up to Keswick Cycles ANYTIME after June 1st to get this done. Packet Pick up will be at North Wales Running Company from 5-7PM on Friday, August 24th. Packet Pick Up at NW Running Co. is NOT manditory althouh agai, it's higkly suggested and prefered as to avoidn lines on race morning. Description: Scoogie Events Kid’s Triathlon will be organized by Scoogie Events and will be staged on Saturday, August 25, 2018 to help raise funds for the Wissahickon Watershed Association and bring exposure to beautiful Penllyn Club while also providing a fun, non-competitive atmosphere for kid’s to enjoy swimming, biking and running in the outdoors. The Scoogie Events Kid's Triathlon will consist of various swim, bike and run distances depending on the age of the child racing. It will be a time trail start (meaning the kid’s will start the swim in a staggered manner depending on their age) and of course an awesome post-race festival with activities that kids will LOVE. Swim: The swim will be held in an outdoor pool with enough lifeguards to make sure that every child is safe. The distance will depend on the age of the child. See below. Please see map to the left. Transition Area: There will be an area for the competitors to put their bikes, shoes, helmets, etc., called “the transition area”. After finishing the swim, the kids will come into the transition area to put on their biking gear, get their bikes and start the bike portion of the race. Please see map to the left. IMPORTANT TRANSITION NOTE: The transition area will be staffed with THE BEST OF THE BEST of the Scoogie Events Crew. There will be 6 highly trained TRIATHLETES that are warm and welcoming and ENCOURAGING to your children. Fear not...We have this covered by THE BEST. Parents WILL NOT be permitted in the transition area once the race begins. The transition area will be roped off and no parents will be allowed in. Again, the transition area is staffed by THE BEST, kindest and most caring crew members to make sure that your child feel comfortable and capable. Bike Course: The distance will depend on the age of the child. See below and please see map to the left. Run Course: The distance will depend on the age of the child. See below and please see map to the left. General Information: The most important factor will be the safety of the participants. The event will be altered or cancelled if it is deemed that for any reason the event is unsafe for the participants. USAT Sanctioned: This event will be USATriathlon-sanctioned. Athletes must have a USAT membership or pay for a membership if they do not have a current USAT membership. We will have an Emergency Medical Vehicle and staff on-hand during the entire event. Purpose: The purpose of this event is to promote multisport participation in the Youth, Families and Individuals, encouraging physical exercise and a healthy lifestyle. In addition, we would like to increase interest and visitors to the beautiful Penllyn Club and surrounding area and help promote participants to enjoy the area. Bike Check: Keswick Cycles in Glenside, PA will be on hand on RACE DAY to check ALL kid's bikes. We encourage athletes to you go to Keswick Cycles in Glenside, PA WAY before the race and have them check out the triathletes bike. 10:30am-Awards Ceremony & festival (Free Snow cones! Pizza & tomato pies from Tony Roni's in Spring House! Bounce house generously donated by Carlton Pools! Hoops Game generously donated by BounceU in Horsham! Crafts by Terri Swain at Keller Williams Realty! Tattoos & face painting.....and so much more! Please see map above and to the left. We are SO EXCITED to see all of the returning triathletes as well as all of the new ones on race day!!! As part of the USAT sanctioning process and as their rules state, we do not offer refunds or transfers. If you have ANY questions at all...please do not hesitate to email Scoogie at Scoogie@Scoogie.com. The 5th Annual Summer Sizzler 8k, 5k & Dash~n~Splash Kids' Run! PLEASE SCROLL DOWN JUST BELOW THE REGISTER HERE BUTTON FOR SOME VERY IMPORTANT PACKET PICK UP AND RACE DAY INFORMATION REGARDING THE RACE! PLEASE READ EACH SLIDE BELOW VERY CAREFULLY "BEFORE" RACE DAY!! "Will you cross the slip & slide finish line this year?" Please read EACH graphic below VERY CAREFULLY as there is some every important information that every runner MUST be aware of BEFORE RACE DAY! Registration (if not sold out)/Race Day Packet Pick Up opens at 7:00 am and closes at 8:30 am. How it works: Once you have registered for the Summer Sizzler 8k or 5k, you will automatically be emailed a unique link in your confirmation email that you can then share with friends ANY WAY YOU'D LIKE: Post your link on Facebook, Twitter or email it to your friends, family & co-workers! 1. Can I participate with my dog? Yes, but only if you wait until the end of the start allowing the majority of runners start and please be sure to bring a bag and clean up if your dog decides that it would be a good time to take a potty break. Also, you are more than welcome to walk with your dog :-) No dogs in the Kid's Fun Run please. 2. Do I need to pay for registration with my child for the 1/2 Mile Kid's Fun Run? 3. Do I need to be 21 to participate? No, but you do need to be 21 to enjoy Ironhill's yummy beer. 4. Do I have to do the slip & slide? No need to do the slip & slide if you don't want to, many will though :-). 5. How do I receive a Race Day Tee? RACE BENEFICIARY IS THE WISSAHICKON WATERSHED ASSOCIATION!